In the late 1950s Palisades Gardens, located to the left of Oak Tree Road above Route 340, was built on 50 acres of land that had most recently belonged to Charles Nessler, the inventor of the permanent wave. Originally part of the old Mann farm, the land had been bought in the late 19th century by Floyd Bailey, who built an estate called Valley View. Early in the 20th century Bailey sold the property to the banker James Wallace, who founded the Sparkill Bank, and built an imposing stone wall along the road. Nessler bought the property in the 1920s. 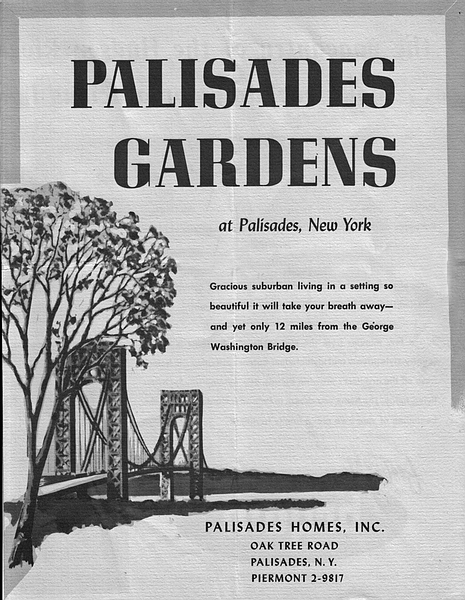 The original brochure, pictured here, described the development. "In the baronial tradition of the Dutch Patroons who first enjoyed the rich rewards of luxury living along the banks of the Hudson, Palisades Gardens offers you the key to a gracious mode of life in the modern manner. Here, just a short drive from the George Washington Bridge and the heart of New York City, the ever-changing vistas of a mighty river lend a dignity and sense of beauty that is reflected in every feature of these new ranch-style homes." At the same time Horne Tooke Road, which had been built as a dead end road when the Indian Hill development was created a few years earlier, was extended to enter Oak Tree Road a short distance above Route 340. The houses were built along two new roads, Iroquois and Dakota, and on Sioux Court. Oak Tree Road was also widened and straightened. 10964 staff interviewed a number of long-time residents who contributed their recollections of those early days. Judith Hata, 2 Dakota St.
“It was 1956, my fiancé Jack and I had set a November wedding date. We started to look for a place to live outside of Manhattan. One September Sunday afternoon we drove to Congers, but Jack decided the commute was too long to his office in downtown New York City. On our way back, we took Route 303. When we reached Tappan, we made the turn to go towards 9W at the Oak Tree Road intersection. That fateful path brought us past a model house after crossing Route 340. We decided to stop in. It was a new development with plans similar to the place we just left, but it had features that we liked better such as the attached garage and location. We were excited to commit to this new place and new life and picked the last corner lot. The builders promised that we would be able to move in by December 1956, but the house was not ready until almost a year later. 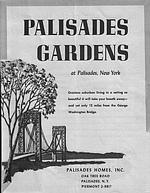 We were part of the first group to move in on September 1, 1957 and by December 1957 the first section of Palisades Gardens was occupied. Helen remembers that on December 21, 1958, she, Don and their two boys moved into a newly-built house completely surrounded by trees with a large pond behind them. The neighborhood children met and played in the open land behind the house and the families held barbeques on summer evenings. Bob recalls one weekend in 1958 when he and his wife were house hunting in Bergen County. 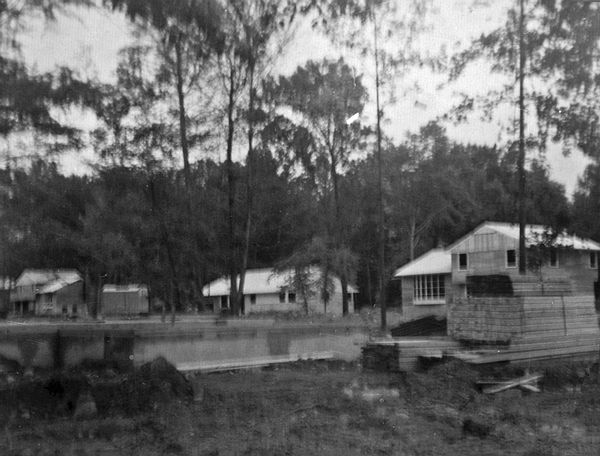 On their way back to Route 9W they passed the new development and turned into Horne Tooke Road, seeing empty plots and half-constructed houses. Later, while driving upstate to go skiing, they returned to the site, found the builders’ office, and were shown a lot they decided to make an offer for. (It had originally been promised to someone else but that first bidder dropped out.) The builder agreed to turn the house so that it faced west and had a good view of the sunset, and add a deck and a two-car garage. The price for the house was $25,000; they moved in on January 1, 1960. The area was full of wildlife, including deer and foxes. (Nessler had kept a herd of fallow deer on the property.) Everyone there was young and a lot of them were veterans. Kids could safely play all over. There was a lot of community socializing; their street had a bowling team that met on Monday nights, and each year there was a big New Year’s Eve party. Barbara says she was two in 1957 when her family left Yonkers and moved into their ranch home in Palisades. “The Development,” as Barbara refers to her neighborhood, was half built when the family moved. There were no trees or shrubs, nothing but mud. Her mother remembers crying a lot. It rained heavily in the spring of that first year and so much topsoil washed down the hill that Route 340 at the bottom was blocked to traffic. When Barbara was young everyone played and rode their bikes in the street. In the summer of the late 50s and early 60s, there were block parties with food and dancing. The swim club off 9W had just opened. Mrs. Knudson was the swimming teacher. “There used to be a gravel path off Closter Road leading to it but it’s gone now. We kids spent all day there, stopping at the country store on our way home – it smelled of bayberry. We would buy candy and sit on the steps eating it.” There were parties at night for the grownups at the swim club. Jeanne Di Meglio, 1 Iroquois Ave.
Jeanne told us that she has lived in the same house for 50 years. Her parents, with 5 kids, moved into a split-level house at #1 Iroquois in 1959. 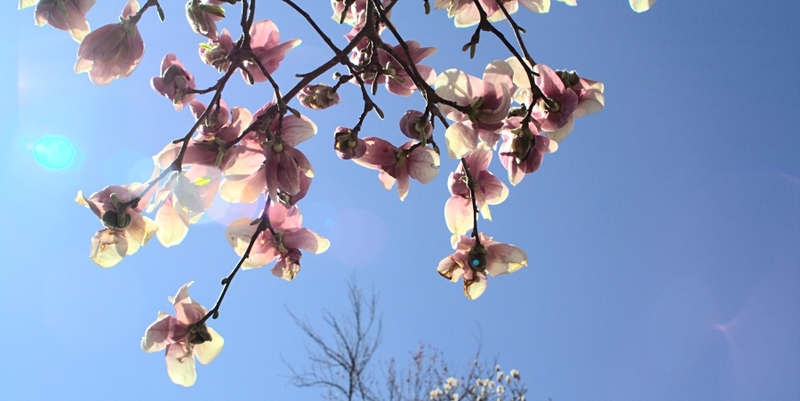 She remembers tulip trees in the back yard, and bushes her grandmother planted. She is the third generation in her family to be in the flower business; her father commuted to the city with a flower truck. The backyard connected to miles of woods. The children spent a lot of time playing there, venturing as far as the Alpine Boy Scout camp. Everyone in the development was friendly and children spent a lot of time outside. This is the second in our series focusing on a specific area of Palisades. We welcome any memories or photos you would like to share with us related to the areas we have featured.